Caution, the enemy is approaching. 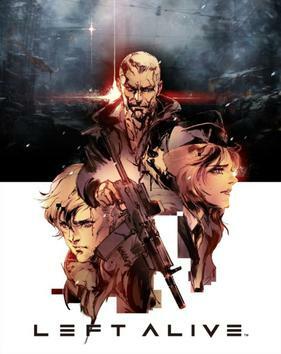 Left Alive is a 2019 third-person stealth video game developed by Ilinx and published by Square Enix for PlayStation 4 and Microsoft Windows. It is part of the Front Mission universe that was also made by Square Enix. The game tried to be a stealth game, a military thriller, and a third-person shooter, but it ultimately failed at that in every level. In fact, the game feels like a poor man's Metal Gear. To further add salt in the wound, one of the lead Metal Gear artists (Yoji Shinkawa) was the main art director of the game. The world feels boring with little variety in the locales and next to no static object placement to enhance it. The enemies are all over the place in any level making the design feel unfair. The artificial intelligence for the enemies is inconsistent. Sometimes they’ll spot you from afar and other times they won’t see you even when you are close to them. The game is borderline cheap at times due to having a subpar load out of weapons the player gets, bullet-sponge enemies, the aforementioned AI and worst of all taking away the control of the character after getting hit once. On the subject of taking damage, an animation occurs if the player gets hit, but said animation will restart if the player takes multiple hits. Because of that, you can’t move and must die quickly. The graphics look like it was made for the seventh-generation of consoles, making them feel dated. The gunplay is substandard with the weapons being underpowered and the firearms becoming loud. Even worse, headshots don’t mean one-hit kills on the enemies. The animation for the characters are stiff. The character makes, while rolling, a quiet “nya” sound. It could be the grunts of the player, but it can be annoying or laughable depending on what you hear. Also, when you're nearby an enemy, the voiceover will warn you "Caution, the enemy is approaching" over and over again; that can get pretty irritating. Crafting is a hassle with the weight for items not making sense and junk being useless. The story is poorly written with uninteresting characters and badly translated dialogue. The Wanzer sections are a complete joke since the controls for the mech are wonky, and the enemy mechas have brain dead A.I. The optimization for the PC port is abysmal. Costed $60 when it came out, which is insulting given the quality of the game. Worst of all, the whole game is a completely blatant advertisement of World of Tanks! The character models are decent along with the Wanzer mechas. The game could have had potential if it was given polish. It received generally unfavorable reviews. Delrith of the Angry Joe Show gave the game a 3/10 stating that the game was functional but barely playable.